Andrew Smith knew ever since his days as editor of his high school newspaper that he wanted to be a writer. After graduating college, he experimented with journalistic careers - writing for newspapers and radio stations - but found it wasn't the kind of writing he'd dreamed about doing. Born with an impulse to travel, Smith, the son of an immigrant, bounced around the world and from job to job, working at various times in a metals mill, as a longshoreman unloading bananas from Central America and imported autos from Japan, in bars and liquor stores, in security, and as a musician, before settling down permanently in Southern California. Here, he got his first "real job," as a teacher in an alternative educational program for At-Risk teens, married, and moved to a rural mountain location. Throughout his life, Smith continued to write, but never considered seeking publication until challenged into it by lifelong friend, author Kelly Milner Halls. In 2008, Smith published his first novel, Ghost Medicine, an ALA/YALSA "Best Books for Young Adults." This was followed in 2009 with In the Path of Falling Objects, also a BBYA recipient. 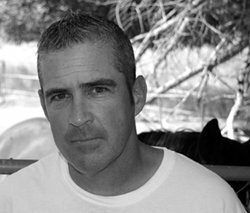 The Marbury Lens is Smith's third novel, and will be followed in 2011 by Stick. Smith prefers the seclusion of his rural setting, where he lives with his wife, 16-year-old son, 13-year-old daughter, two horses, three dogs, three cats, and one irritable lizard named Leo. I'm not talking about the book, although it's awesome too, I'm referring to the character. 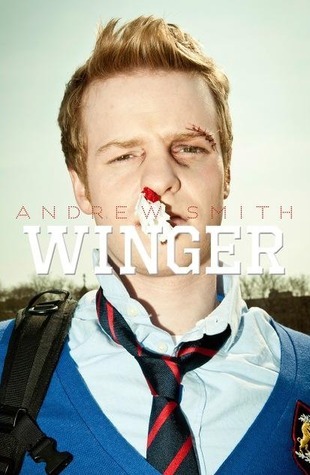 Winger, a.k.a. Ryan Dean is an incredible young man. Not only smart, he is a great friend. Throughout this book, his unfailing loyalty for friendship is tested, time and time again. Since his best friend is so diverse, it never ends, but he isn't swayed in the least. He even gets the girl of his dreams. He is the star player on the Rugby team, and still maintains a level head. I like that a lot. The end of the book surprised me though, and in hindsight, it really shouldn't have. All the signs were there, though I was oblivious to them until the end. Plus there was a throat-choking moment there too. Sure made for an epic story. **No compensation was received for posting. Compensation will be earned if purchases are made from the links within. This copy was read free at PulseIt. Opinions are owned by Freda's Voice.